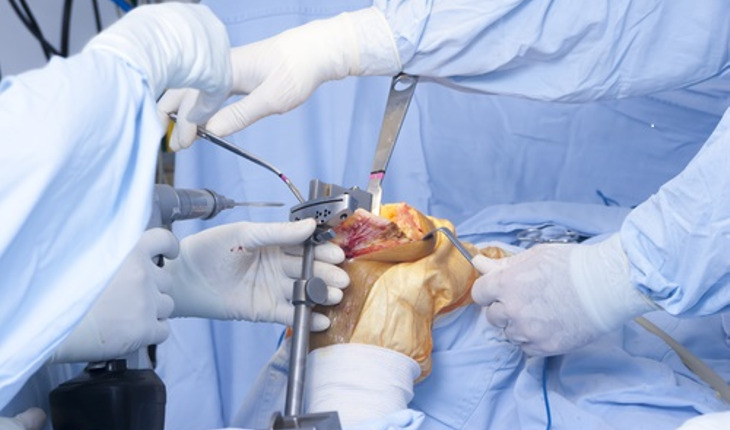 A modern method of healing femur fractures is just as effective as a more established alternative, according to researchers. The investigators, a team of orthopedic surgeons from the Perelman School of Medicine at the University of Pennsylvania, found that there’s no difference in the methods for treating distal femur fractures. According to a news release from the university the team found that when done correctly, there are no significant differences between the two approaches – “locked plating” and “non-locked plating” – in terms of healing rates, need for corrective surgery, or hardware failure. The findings were presented at the American Academy of Orthopaedic Surgeons Annual Meeting in Las Vegas. In its study, the team examined medical records of 95 patients who underwent surgery to repair distal femoral fractures. These fractures, while relatively uncommon, may become more frequent as the population ages. According to the university’s news release, for 80 percent of the patients studied, the fracture healed within 3.5 months of surgery, while 20 percent needed corrective surgery. The researchers found that patients whose surgeons used locked plating – which historically required a second revision surgery roughly 40 percent of the time – had no more setbacks than patients whose providers used non-locked plating. The two methods differ in their use of locking and non-locking screws, respectively, to attach metal plates to fractured bone in order to provide stability and promote healing. Locked plating virtually eliminates the possibility of the plate moving, but it has also been associated with pronounced stiffness and rigidity around the healing bone; that can prevent the bone from healing.